Grain elevators have dotted the prairie provinces for more than a century, each being a beacon to the surrounding areas economic and agricultural strength. Prosperity standing tall in the middle of the flat landscape. Improved roads, mechanized farming and falling farm incomes are leading to their fast disappearance from the land. 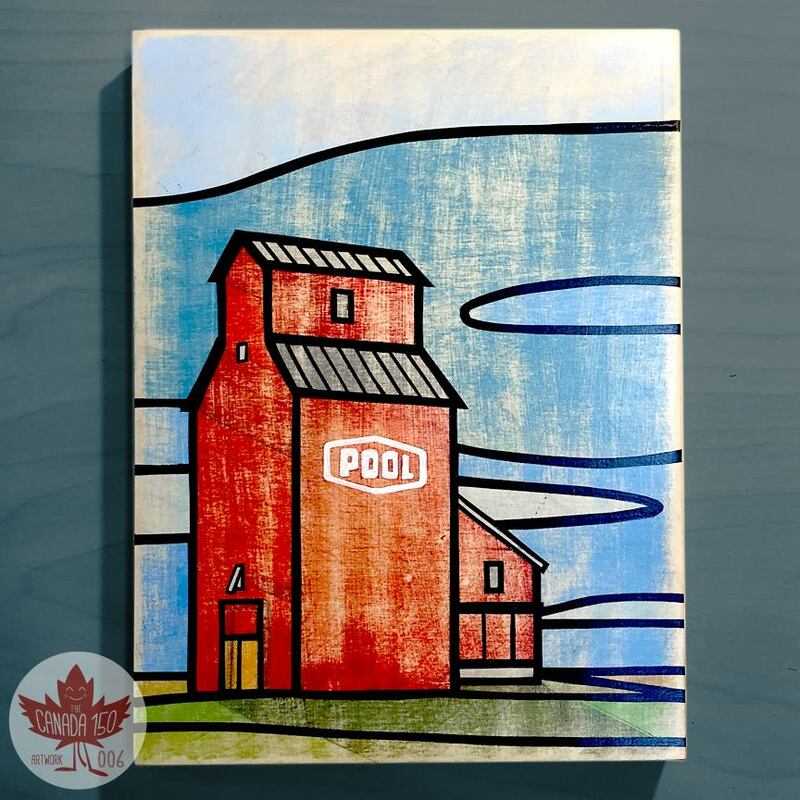 A proud symbol of it's agricultural importance the grain elevator is a fitting nod to the Canadian prairies.